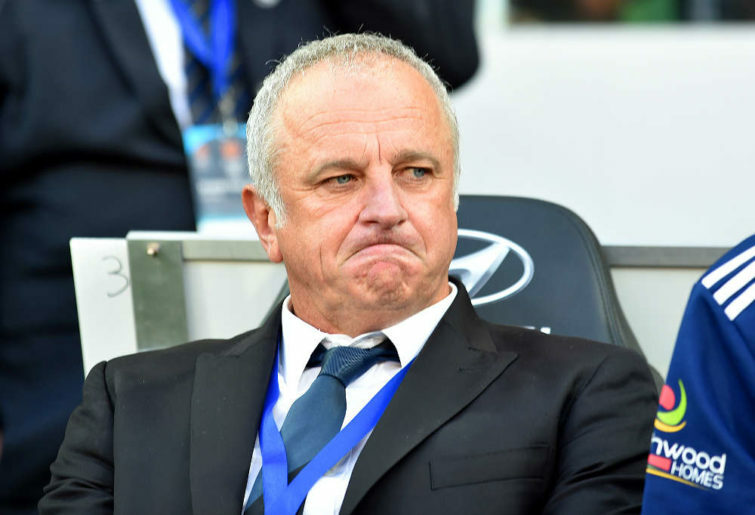 The Socceroos were beaten in their opening game of the 2019 Asian Cup, victims of a resolute and hungry Jordan team, as well as of a tactical counter-strategy that is as familiar as it is effective. 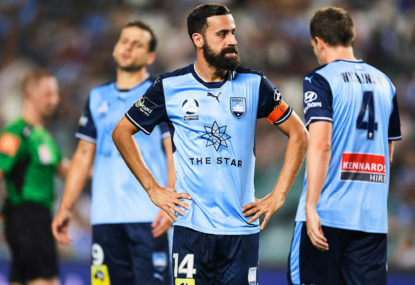 Endless lateral passing, uninspired movement, ineffective starting attackers, a procession of poor crosses, and a vulnerability when defending sudden transitions were the hallmarks of Graham Arnold’s first competitive game, the same ones that decorated the late-era Ange Postecoglou Roos. The more things change, the more they harrowingly stay the same. Jamie Maclaren started as striker, with Andrew Nabbout injured in training. 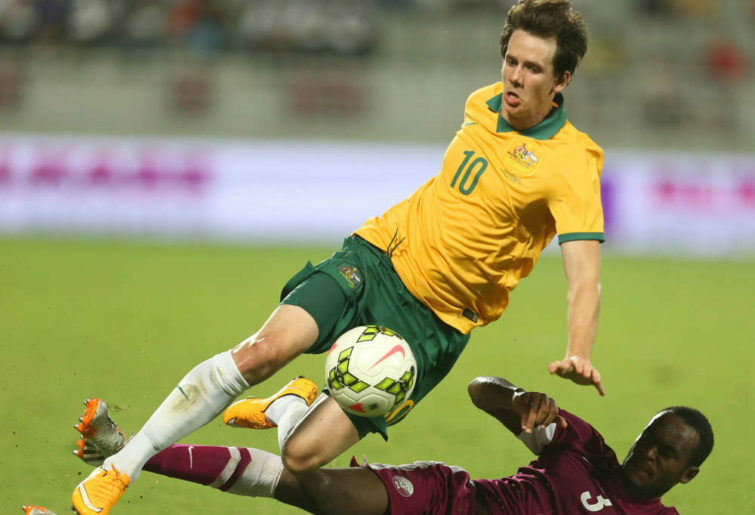 Robbie Kruse and Awer Mabil began, as expected, as the wingers, with Mark Milligan in the central midfield, partnering Massimo Luongo, which meant Milos Degenek was paired with Trent Sainsbury in the centre of defence. Tom Rogic, whose fitness was also a matter of some concern, threw off the shawl of doubt, starting as the 10. Jordan began the game pressing in spurts, converging on players without a clear passing option, trying to prise the ball off them, before counter-attacking with speed. The demeanour of the game settled within five minutes, with Australia taking control of the ball, ruminating on attacks, wary of their opponents’ clear appetite to punish any misplaced passes or out-of-position resting defenders. Luongo allowed a Jordanian tackler to pinch the ball from him in the deep midfield, but Jordan dithered a little on the dangerous break that dispossession prompted. Still, the long-range consolatory shot that Ryan was eventually forced to bat down was warning enough; for all of the bald-faced clarity of their reactive approach, this Jordan team was not one to dismiss as a live threat. One sudden counter saw Rogic chase all the way back from the Jordanian penalty area to his own box to neutralise the dribbler, such was the spasm of panic the sequence inspired. The Jordanian keeper Amer Shafi, a quite colourful presence between the posts, was four times seen punching flamboyantly to clear Australian set pieces, two of them corners. These deliveries were all hit with a pleasing swoop and speed, but, evidently, were not placed far enough away from Shafi’s meaty fists. These set pieces all came inside the first 20 minutes. But it was from a Jordanian set piece that the game’s opening goal came, assisted by some slack Australian marking. Having settled for a corner, when the attack might have been revived, the decision proved wise for the underdogs, as a swooping delivery was headed with bullet force into the top corner by Anas Bani Yaseen. Luongo was the nearest man, but surely could not have been the assigned marker for the opposition centre half. After the game, Milligan said the concession was “a team problem”, implying as much. Mat Ryan clapped his hands, shouting in frustration, as the Jordanians celebrated ecstatically. They had, after all, just taken the lead against the defending champions. The minutes following the goal then saw Sainsbury fumble over the ball, giving it up, before racing back to foul a Jordanian dribbler just outside the box. The free kick was a lethal strike that Mat Ryan – partially blinded by both his and the opponents’ wall, the latter designed to disrupt – managed to tip onto the bar, an incredible save. Australia were dazed, again the victims of their own defensive lapses, an unwanted callback to the very worst traits of preceding regime. Jordan were executing the counter-plan Asian opponents have deployed against Australia for the last five years: allow the Socceroos possession, to a point, let them pass freely in the lower two-thirds of the pitch, but as soon as they enter the final third, press with aggression, deny their players time to take a clean first touch, force an error, and then break. Punctuate this approach with some sporadic higher pressing, to try and force a passing error from a defender or deep midfielder, but sit deep as a team, defend with discipline, and good things will happen. Japan did it in that crunch World Cup qualifier in Saitama. Thailand did it too, a few months before Japan. This is not some novel issue we could not have foreseen. Khalil Bani Ateyah was foiling most of the Australian attacking forays himself. The Socceroos had a very good penalty shout for a handball denied, with no VAR to revisit the incident. Australia went into the half-time break a goal down, and it was not an undeserved deficit. 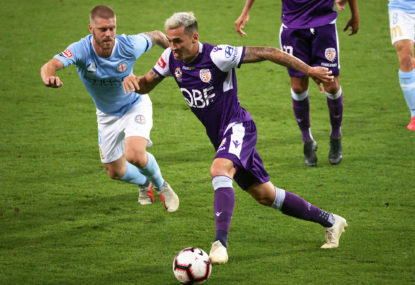 Rhyan Grant came on at half-time, replacing Josh Risdon. 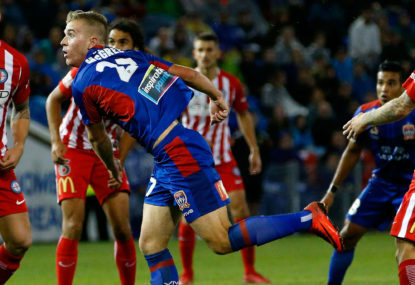 Jordan began the second half allowing first Degenek, then Sainsbury, to advanced all the way up into a winger’s position to cross, apparently preferring to pack the area that might be targeted by the cross with defenders, rather than send a man out to stop the delivery. While these crosses from the centre-backs came to nothing, Australia did spend the beginning of the second half applying heavy pressure, winning a series of corners. Still, Shafi was never required to make a save. Chris Ikonomidis was brought on in the 54th minute for Kruse. 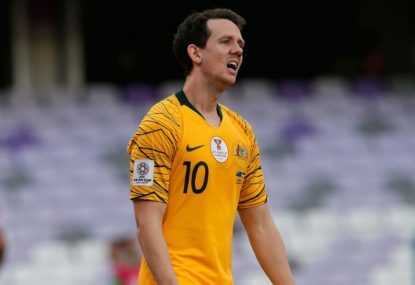 Kruse had been a non-factor in attack, and Ikonomidis spent the remainder of the match impressing on anyone why he should start the next game against Palestine. Arnold was restless here, two subs before the hour mark; he was not happy at all with what his team were doing, and all of his talk of there being goals in this team, scoring by committee, and blunting Jordan’s attacking threat, was being made to look like substance-less waffle. That threat perforated the Australian defence another few times on the break, a reminder that the Jordanians might well build on their narrow lead if their gears could align in transition. Rogic struck a firm shot down Shafi’s throat, and Ikonomidis was there to challenge for the rebound, but it came to nothing. Saeed Al Murjan smacked an equally stern shot right at Ryan, and his save offered no rebound at all. Rogic, free in the box, then skied a shot after great work from Mabil and Ikonomidis. He could easily have levelled the game, although the ball was slightly behind him. Baha’ Seif then had a clear chance on the counter, a minute after coming on as a substitute. 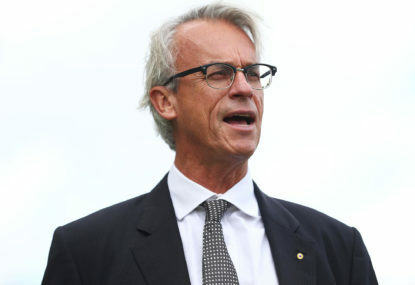 For every half chance Australia created, usually at the end of a fairly mealy, often torturous period of passing and probing and turning-back, Jordan would create an equally-good equivalent chance in a half-second on the counter. With 15 minutes remaining, Luongo came off for Jackson Irvine. Things were getting desperate now. Irvine seemed to place himself significantly higher than Luongo had been, with Milligan now the sole 6. Mabil smashed a shot against the post, from a tight angle, created the space to shoot on his own via a drag-back and a sharp dart to the right. Australia were getting closer, and Jordanians were going down with cramp left and right. Maclaren had the ball taken off his forehead by a high clearance, right in front of goal. A penalty? No, said the referee; a fair clearance. Minutes later, Maclaren then had the ball in the net. A goal? No, said the linesman; offside. The match entered five minutes of added time, with every second that ticked away an excruciating spike driven into the Australian national nerve. The Socceroos had a rumble in the box, shots bouncing in, crosses being thrown desperately into the centre, a corner won and then repelled. But no goal. The whistle went. The reigning champions were beaten. Having held an astonishing 77 per cent of possession, having passed endlessly in the attacking half, having created a number of chances from which a goal might have come, Australia were beaten by a nation that defended deeply, worked themselves into the turf, knitted together as a team. Jordan were fuelled by the sort of pure, ultra-combustible energy that only the biggest football stage can provide. This is the exact kind of opponent that undid us so often in World Cup qualifying, that has been a problem for us in Asia for the last five years, a problem for which we still have no solution.